Cyclops’s father issues are basically their own character in this issue. 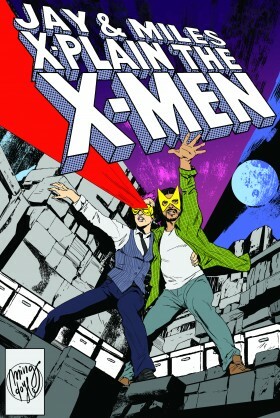 Classic X-Men #8 does the whole thing over again, somewhat more graphically. Next Week: X-Factor begins (for real, this time)! That panel of Captain Marvel standing underwater, checking out the discarded mattress made me annoyed with Kelly Sue DeConnick’s “Monica Rambeau is terrified of water” business in her first Carol Danvers “Captain Marvel” series. Mid-eighties Hercules is the best of all possible Herculeses. I particularly like the way Roy Thomas wrote him as impossibly, unendingly, bottomlessly strong. He one-punches a Growing Man in an issue in this run. Can’t remember the Issue number, but at one point in the Avengers Monica uses her powers while underwater against Marrina in which she basically her atoms scatter so hard she can barely get back together and spend a decade afraid of her powers. It’s brought up a couple of times before KSD touched upon it, so it’s not so unlikely! … “In which she basically scatters her atoms so hard” is what I meant to say. Curse my porky fingers. After looking through the Avengers/FF section of the visual companion I have MAJOR QUESTIONS about the Mattress Physics of the Marvel Universe. Can’t wait for the retcons! *X-Factor*. I meant “X-Factor.” This is what happens when you hit “enter” without proofreading. ..I like yours much better than mine. I get the theory about why Cyclops left his wife and child. But I’m afraid that doesn’t make it any better. I also don’t see it, because Scott surely would believe in keeping his word. Which he totally failed to do. I’ve just been rereading all the books in question and I feel sorry for Madelyne. I don’t know that it’s super in character for him either, but to be fair he wasn’t TRYING to leave his wife. He was just going to check on Jean and come back. But Madelyne told him not to come back and when he did anyway, she was nowhere to be found. Can we talk about Claremont’s ridiculously frequent use of “chum” as a term of semi-endearment? I was a kid in the 1980s but I do not recall folks using this word any more than they do nowadays. Is this just Claremont being Claremont? With the amount of X-books I have been reading recently it’s only a matter of time before this enters my diction and people start giving me weird looks.